On Friday we were chosen as one of the headline 'Content' speakers on the main stage at Brighton SEO, for which Julia Ogden stepped up to the mic! 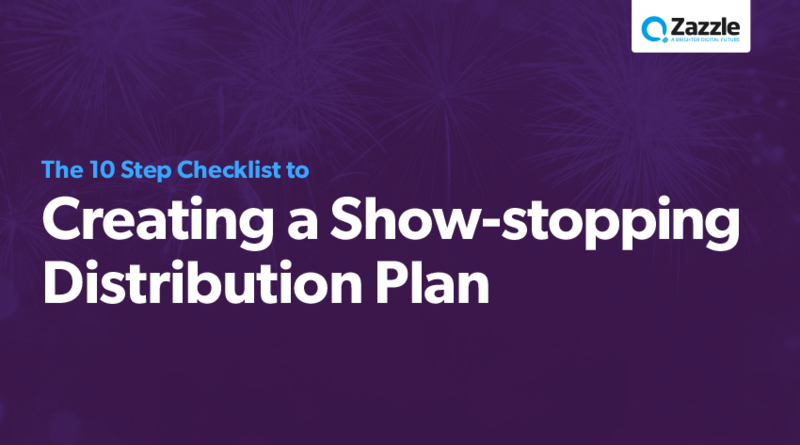 The response to the talk from the other delegates has been overwhelming, entitled: 'The 10 Step Checklist for Creating a Show-Stopping Distribution Plan'. What do you want to achieve from a creative content marketing campaign? Is it for brand awareness, increase keyword rankings or achieve high quality back links? Or is it all three? Who are you targeting with your content? Where do they hang out online and what sort of content do they like? You can use your own data and a variety of tools -including Facebook Audience Insights, YouGov Profiles, ComScore and Global Web Index - to add more character and colour to help create personas. Follow an ideation process to ensure no stone goes unturned when you brainstorm a campaign idea. Things to consider include: Are there any news or seasonal opportunities you can take advantage of, do you have any unique data you can use to PR, what is the human interest angle? Alternatively, just come up with something crazy and innovative, an idea you believe has the potential to set the web on fire. 4. How to shout about it? So, you’ve come up with an awesome idea, but how do you let others know about it? You can write a press release, certainly, or you can create supporting content, such as in depth feature articles and an infographic, for others to host that link back through to the bigger piece. A survey will give you a PR hook to sell in to site owners/journalists and don’t forget about the power of video to promote the content through your social channels. 5. Ask yourself – who else cares? You might love the idea, but it’s important to ask yourself some questions to validate it. Questions such as: What’s the hook? Why now? Does it evoke an emotion? Once you have validated an idea, it is vital – before you create a single thing – to ask the people you want to host/promote the content their views. Identify the right influencers, build a relationship with them, and ask for their opinion; feed this into the content creation teams. You need to agree the metrics/number of placements/links and type of coverage you’ll get from a campaign. Tools that can help you include: Majestic SEO to understand the Trust and Citation Flow of a site, Moz Domain Authority, which predicts how well the site ranks, SEMrush, which measure the search visibility and how many keywords a site ranks for and Hitwise, which looks at site engagement, the number of people visiting a site and the amount of time they spend on it. Make sure you utilise ever channel available to share the content with as many as people as possible. Owned (the channels you control) such as your website, social platforms, blog, and customer database. Earned (where others promote your content) – news sites, online publications, bloggers, influencers, content aggregators, directories and forums. Paid (where you pay to amplify the content) – social advertising, native advertising, traditional advertising, pay-per-click. Keeping a track of all the content creation and distribution activity can be hard, so we advise creating a campaign plan where you can record every deliverable and achievement, as well as keeping a record of all the sites which reject the content. You can use this information to understand what sort of content sites like and use this to fuel the next campaign idea. At the end of the campaign keep a record of all achievements. Use Google Analytics to see organic, referral, social traffic and engagement, Hitwise for visibility, reach and impressions, Majestic and Ahrefs for total backlinks. Check these 3, 6, 9 and 12 months after the campaign has finished, as you will hopefully discover the reach just keeps on growing. The deck in full is free to download, just click below for the full show. If you would like more information on how to create content distribution plan you can get in touch, alternatively take a look at our other content distribution services.